Patient 5 showing perforation of the choledochal cyst, which had diffuse bile peritonitis. In the schematic diagram, the black dot indicates the perforation site, and multiple arrows represent diffuse bile peritonitis. Patient 3 showing perforation of the left intrahepatic duct due to a common bile duct stone, which had an abscess pocket in the resection bed of the left lateral segmentectomy of the liver (white arrow) and in the anterior mediastinum (black arrow). H indicates heart; L, liver; and P, pleural effusion. Patient 11 showing perforation of the left intrahepatic duct due to common bile duct stones, which were manifested as subcapsular biloma in the liver (arrow). L indicates liver; St, stomach; and Sp, spleen. Patient 8 showing the perforation of segment 2 due to phytobezoars in the common bile duct; choledochoduodenostomy had been performed 18 years previously. A, Abdominal computed tomography showing phytobezoars (arrow) in the common bile duct. B, The perforation site of the left intrahepatic duct (arrow). L indicates liver; LK, left kidney; RK, right kidney; St, stomach; and Sp, spleen. Copyright 2004 American Medical Association. All Rights Reserved. Applicable FARS/DFARS Restrictions Apply to Government Use. Hypothesis Nontraumatic perforation of the bile duct in adults is rare, and the management of this condition should resolve the primary pathologic lesion. Design Retrospective analysis of 11 patients who were diagnosed as having nontraumatic perforation of the bile duct. Setting A public university medical center and a private university medical center. Patients Five men and 6 women (median age, 64 years) with nontraumatic perforation of the bile duct were treated between September 1993 and May 2003. Interventions Two patients with common bile duct (CBD) stones, who were initially diagnosed as having mediastinal abscess and subcapsular biloma, respectively, were treated by nonoperative management, ie, endoscopic sphincterotomy and percutaneous abscess drainage. The remaining 9 patients were treated surgically, which included an exploration of the CBD, placement of a T tube, and a liver resection. Main Outcome Measures Initial manifestation, primary disease, perforation site, management, surgical morbidity, and mortality. Results All patients had acute abdominal pain, which was caused by intraabdominal abscess in 7 patients, diffuse bile peritonitis in 3, and subcapsular biloma in 1. Their primary diseases were CBD stones in 7 patients, intrahepatic duct stone in 2, a choledochal cyst in 1, and phytobezoar with food stuff in the CBD in 1. Perforations occurred at the left intrahepatic duct in 9 patients, the CBD in 1, and the cyst wall in 1. All patients recovered, except 1 patient who expired owing to multiorgan failure because the operation could not be performed in time. Conclusions Nontraumatic perforation of the bile duct should be suspected if perihepatic abscess or peritonitis is combined with biliary stone disease. The management of nontraumatic perforation of the bile duct should include the eradication of the primary pathologic lesion and the control of abscess or peritonitis. To date, nontraumatic perforation of the bile duct in adults has been reported in only 70 cases in the English literature since its first description by Freeland in 1882.4,5,13,17 In 1984, Chu18 reported 7 cases, which still remain the largest series of nontraumatic perforation of the bile duct. During the last 10 years, we have treated 11 cases of nontraumatic perforation of the bile duct in adults, and we undertook this study to address the characteristic findings of bile duct perforation and to discuss the results of its management. We treated 11 patients with nontraumatic perforation of the bile duct at Seoul National University Bundang Hospital and at Ewha Woman's University Mokdong Hospital between September 1993 and May 2003 (Table 1). These patients represented 0.32% of 3464 patients managed for biliary tract disease in the Department of Surgery during the same period. Patients' ages ranged from 28 to 75 years (median age, 64 years), and there were 5 men and 6 women. Five patients (patients 2, 3, 8, 10, and 11) had a previous history of operation on the hepatobiliary tract, ie, cholecystectomy, left lateral segmentectomy, or choledochoduodenostomy. Nontraumatic perforation of the bile duct was diagnosed with the observation of bile-tinged peritoneal fluid or abscess or the drainage of bile into the perihepatic space in a patient with biliary tract disease without traumatic or iatrogenic injury. All patients had acute abdominal pain, which was diffuse with distension due to bilious ascites in 3 patients or localized due to abscess in 8 patients. Eight cases were febrile. Serum bilirubin was elevated in 4 patients, and 3 of these were icteric in appearance. Preoperative ultrasonography or computed tomography revealed an obstructive lesion of the biliary tract in 10 patients and perihepatic fluid collection in all patients. Nontraumatic perforation of the bile duct was diagnosed by laparotomy in 9 patients, and in 2 of these patients, preoperative aspiration of peritoneal bilious fluid showed the biliary leakage (patients 5 and 8). The remaining 2 patients (patients 3 and 11) had stable vital signs; they were diagnosed as having bilious fluid and abscess after a percutaneous drainage, and they were managed nonoperatively. Emergency operations were performed immediately with a diagnosis of diffuse peritonitis in 3 patients (patients 1, 5, and 8), which revealed bilious peritoneal fluid intraoperatively. The other 6 patients (patients 2, 4, 6, 7, 9, and 10) were operated on electively for a localized abscess associated with biliary stone disease. In these 6 patients, the loculated collection of thick dark green fluid was seen in the abscess cavity contacting the left lobe of the liver. These abscesses were in the subhepatic area in 5 patients and in the space between the peritoneum and the anterior surface of the left lobe in 1 patient. The perforation occurred on the left IHD in 9 patients. It was difficult to locate the perforation site on the left IHD owing to inflammation around the abscess cavity and the embedded position of the duct in the liver parenchyme. We tried to confirm the perforation of the bile duct by recognizing the collection of bile and identifying a persistent bile leak in the cavity after draining any perihepatic abscess. The other 2 patients had a perforation at the cystic wall of the choledochal cyst (Figure 1) or the anterior wall of the CBD, both of which had diffuse bile peritonitis. The primary diseases of nontraumatic perforation of the bile duct were CBD stone in 7 patients (pure CBD stone in 5 and CBD stone combined with IHD stone in 2), IHD stone in 2 patients, choledochal cyst in 1 patient, and phytobezoar with food stuff in the CBD in 1 patient. Two patients with stable vital signs were managed by CBD stone extraction by endoscopic sphincterotomy and percutaneous drainage. Patient 3, who had a previous history of a left lateral segmentectomy because of IHD stones, was initially diagnosed as having mediastinal and subphrenic abscess combined with CBD stones. He had a large amount of bile-stained fluid drained by percutaneous drainage (Figure 2). Patient 11 was diagnosed as having subcapsular biloma associated with CBD stones; the biloma was drained percutaneously (Figure 3). The remaining 9 patients were operated on for bile duct exploration. Intraoperative choledochoscopy was used to locate the pathologic lesions and rule out distal obstruction in all patients. Intraoperative cholangiography was performed to confirm bile duct perforation in 4 patients. Excision of the choledochal cyst and hepaticojejunostomy were performed in the patient with a choledochal cyst. Removal of phytobezoars in the CBD and T-tube drainage were performed in patient 8. This patient had a history of open cholecystectomy with choledochoduodenostomy owing to biliary stone disease 18 years earlier and subtotal gastrectomy and gastrojejunostomy owing to a benign gastric ulcer 25 years earlier (Figure 4A and B). Additional procedures, 3 left lateral segmentectomies and 1 left lobectomy, were performed in the 4 patients with multiple impacted stones and/or strictures of the IHD (patients 4, 6, 7, and 10). Laparoscopic CBD exploration was performed in patient 9. Drains were inserted near the area of perforation in the peritoneal cavity after irrigation with a large amount of physiologic solution. Postoperative T-tube cholangiography showed no filling defect in the CBD and no evidence of leakage on postoperative day 7. The T tube and the drain were removed after we confirmed the drainage of bile into the duodenum after a 24-hour clamping of the tube. One patient (patient 1) died of multiorgan failure on the first day postoperatively. She had been transferred to our hospital without a proper diagnosis or treatment for 1 week, during which time her clinical course deteriorated owing to septic shock. At laparotomy, concomitant biliary cirrhosis with CBD stone was observed, and the peritoneal cavity was contaminated with bile. Morbidity occurred in 3 cases, involving pneumonia, acute pancreatitis, and bile leakage around the T-tube site. These complications were resolved by conservative treatment. All patients have been well and without disease recurrence for a mean duration of 58 months on follow-up (range, 37-95 months). We have treated 11 patients with nontraumatic perforation of the bile duct during the last 10 years, and the present study is the largest study about this entity to date. A MEDLINE search revealed that the most common site of perforation is the CBD in 42 patients, followed by the hepatic duct in 28 patients. While the majority of studies on nontraumatic perforation of the bile duct have involved the EHD, perforations of the IHD were more frequent in our study. It is difficult to locate the perforation site in the IHD because it is imbedded in the parenchyma of the liver, and severe inflammation or the presence of abscess obscures the anatomy around the liver. This study shows that perforation of the left IHD occurs commonly. However, perforation of the right IHD was not found in the present study. It is presumed that the liver parenchyma surrounding the right IHD is too thick to be perforated easily by increased ductal pressure. Nontraumatic perforation of the bile duct of the IHD should be suspected if a perihepatic abscess or peritonitis is combined with biliary stone disease. We encountered nontraumatic perforation of the bile duct due to phytobezoars in the CBD, which occurred in a patient with a previous choledochoduodenostomy. Therefore, nontraumatic perforation of the bile duct could be taken as a cause of peritonitis or intraabdominal abscess in patients with a history of biliary bypass surgery. 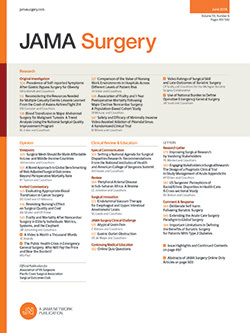 Surgical management of the biliary-tree perforation remains controversial, but the goals of such surgical management are to halt continuing abdominal contamination with infected bile by means of peritoneal drainage,10 ie, surgical closure of the perforation,8 and T-tube drainage20 and to treat the associated biliary pathologic features. The specifics of the operation should be tailored according to the patient's general condition, the severity of the peritonitis, the operative exploratory findings, and the intraoperative cholangiographic findings. The conservative approach of draining the abdomen and decompressing the biliary tree is recommended unless there is distal biliary tract obstruction,21 and spontaneous closure usually occurs once the biliary tree has been decompressed.3,6,10,11 Two patients recovered by nonoperative management in this study. A localized abscess or subcapsular biloma can be managed with percutaneous drainage, and CBD stones can be extracted by endoscopic sphincterotomy, if the vital signs are stable and the patient is without symptoms of peritonitis. In this study and in other studies, primary repair of the perforation site could not be performed because of severe inflammation around the perforation site. Most patients recovered after external decompression and treatment of the primary pathologic lesion. Nontraumatic perforation of the bile duct induced by a choledochal cyst in an adult is extremely rare.20 Two-stage biliary reconstruction has been recommended because the cyst wall is friable owing to severe inflammation. Here, we performed a single-stage operation involving a choledochal cyst resection and a hepaticojejunostomy, and the patient had a good recovery. Segmental resection of the liver was also performed successfully for IHD stone or stricture. Although CBD exploration carries the risk of significant damage during manipulation of the inflamed duct,11 we performed CBD exploration without adverse events. Therefore, we believe that definite operations, such as liver resection or CBD exploration, can be safely performed if the patient's condition permits. In this study, 1 patient died of multiorgan failure after her treatment was delayed for 7 days without proper diagnosis and her clinical course worsened owing to septic shock. As shown by other reports,4,6 nontraumatic perforation of the bile duct has a high mortality and complication rate, despite adequate surgical therapy, if definite treatment is delayed. Correspondence: Ho-Seong Han, MD, Department of Surgery, Seoul National University Bundang Hospital, 300 Gumi-dong Bundang-gu, Seongnam-si, Gyeonggi-do 463-707, Korea (hanhs@snubh.org). Accepted for publication March 16, 2004.